After a couple/few days of feeling like I was getting over the sinus crud, it seems to be staging a comeback, leaving me once again with an extra fuzzy head and low energy. 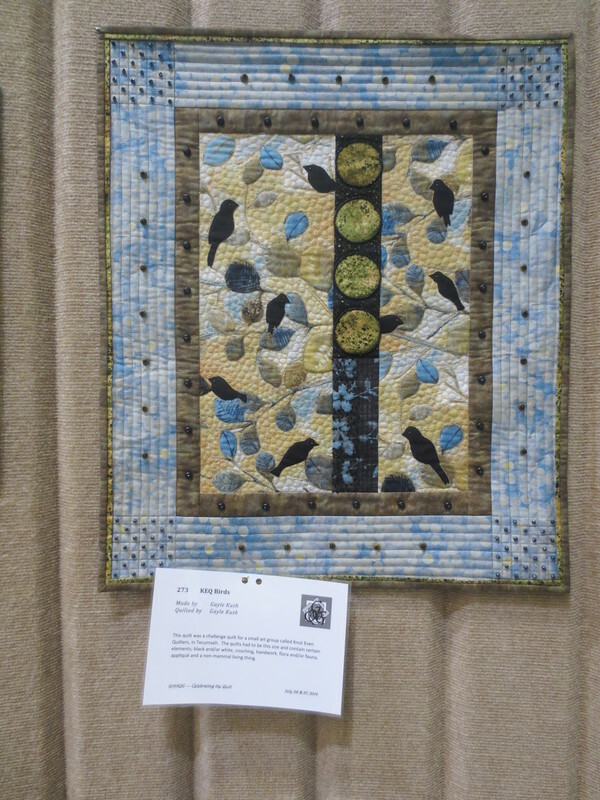 Instead of dwelling on that, let’s instead look at some pretty pictures from the Ann Arbor quilt guild show I went to last summer. 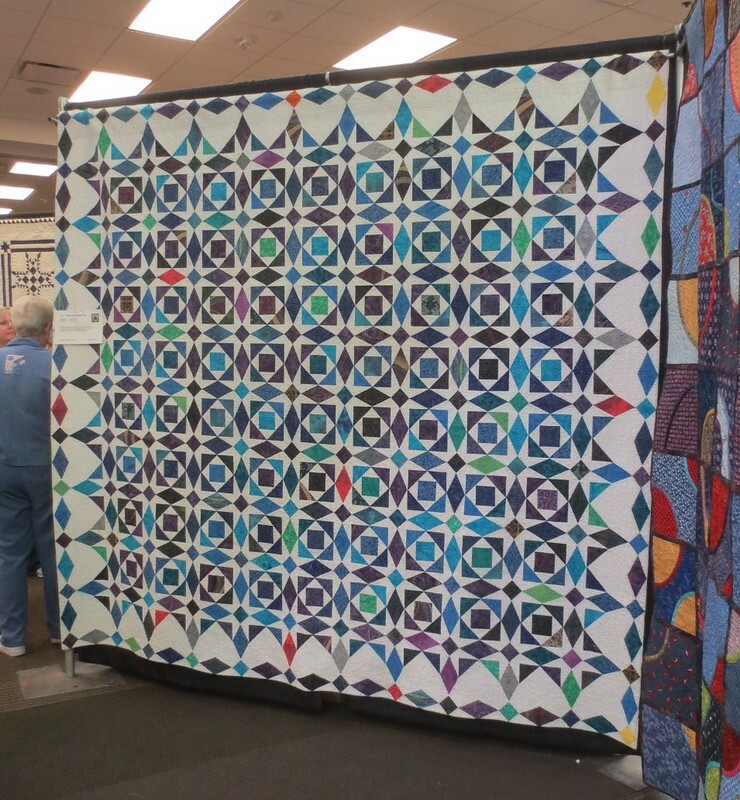 I did share a couple photos in my show report, but you know I took way more than that. 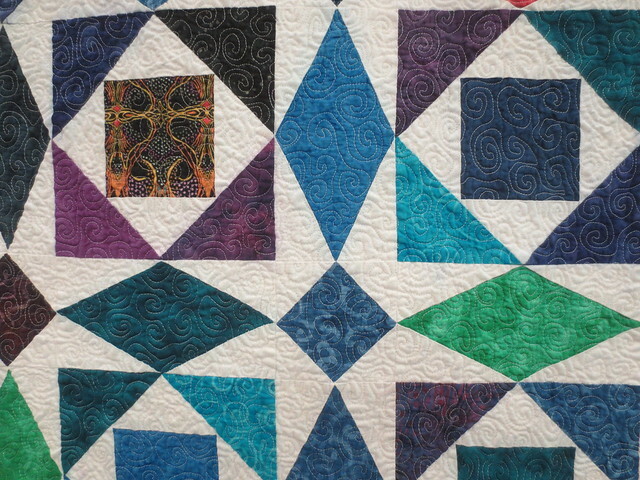 Storm at Sea is one of the patterns that’s on my “to make someday” list, so of course I was drawn to Emily and Eli’s Storm at Sea (made and quilted by Ann Alpern). The accents of red and yellow are an especially nice touch here. 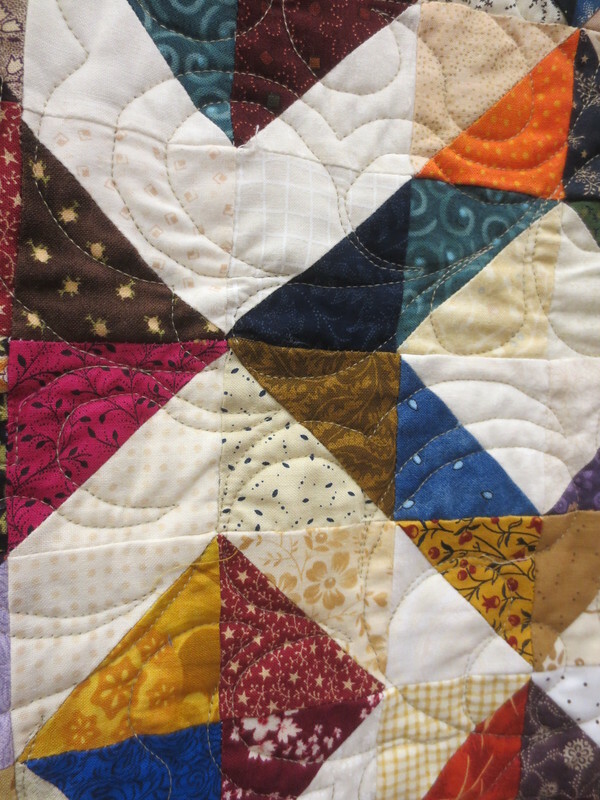 I’ve got an affinity for half square triangles, having made many quilts with them over the years. 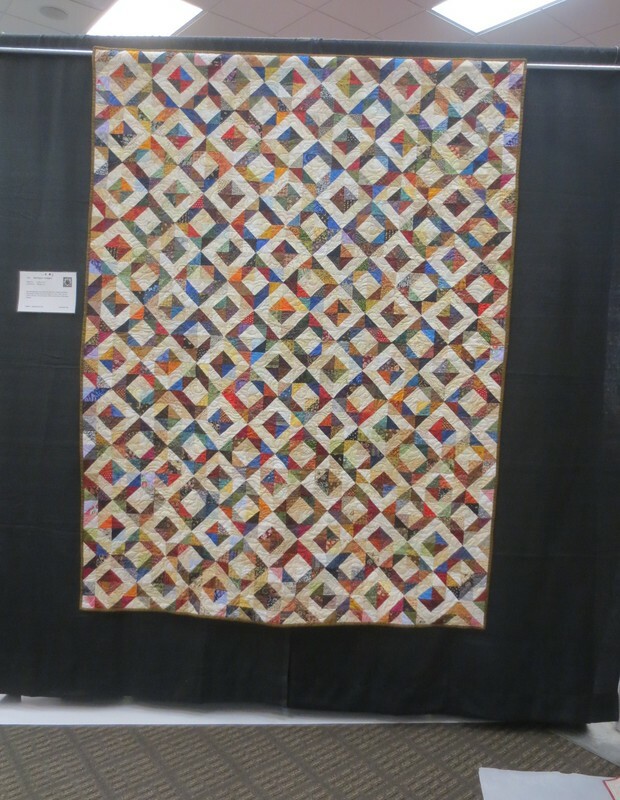 I’m thinking I may use this piece made by Joanne Esch and quilted by Rhonda Loy as inspiration for using some of the many leftover triangles I’ve got stashed in boxes. 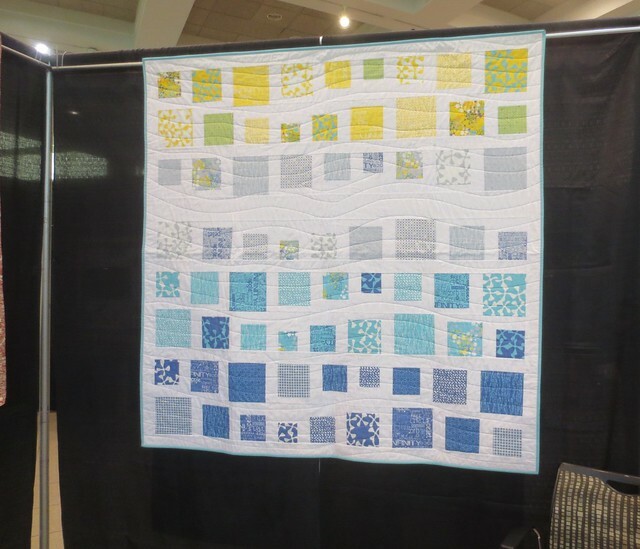 This modern style quilt called Waves (made by Debbie Grifka) seems like a great way to use big pieces of a whole lot of fabrics. I’ve done very little applique and no beadwork, but that doesn’t mean I don’t admire it and won’t do more of it myself someday. 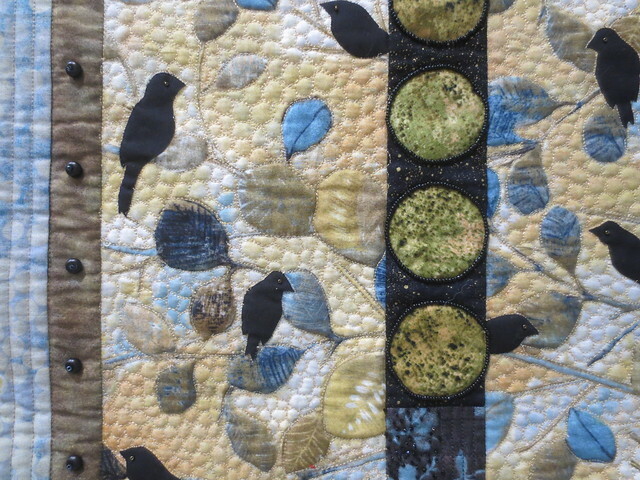 This little piece called KEQ Birds (made by Gayle Kush) caught my eye with all of its detail. For even more of my favorites from the show, you can peruse this set on Flickr.